For every taxi driver out there, your car is your job. Making sure that your taxi insurance is tailored to your needs absolutely essential – your income depends on it!. And if you’re busy out on the road, earning money, you don’t want to be spending hours on the phone looking for taxi insurance. With just a few clicks, we can provide you with competitive taxi insurance quotes from a panel of specialist insurance providers. Each one will be able to offer you a fully tailored quote that’s just right for you. If your taxi is important to you, then click the button below to get it insured today! If you’re new to obtaining taxi insurance, we can help you to understand it better. In this useful guide, we’ll break down the different types of cover that’s available for taxi insurance; the things you need to know when getting a quote; and how you could potentially save money on the cost of your insurance. Do you need taxi insurance? Put simply, if you drive your vehicle for profit (usually a fare), then you definitely need taxi insurance! Having business use on your private motor insurance policy won’t be enough to cover you. For taxis, you need to take out specialist cover. Not all insurance providers out there will offer specialist taxi insurance policies, so finding quotes can take time if you’re phoning around. Using comparison sites can be a quick and easy way to find all the insurers who can offer you a quote. Once you’ve worked out that you need taxi insurance, it’s time to understand what type of cover is best for you. Public and private hire are the most common forms of cover in taxi insurance, but how do they differ? And what about the other types of taxi cover that’s also available? Not all insurers offer cover for both public and private hire. Always check the cover types before you take out a quote, depending on the cover you need. Don’t take out cover that is unnecessary for your particular set of circumstances. Public Hire –This is the taxi insurance you’ll need if, for example, you drive a black cab or a Hackney carriage. These taxis display a ‘taxi’ sign and they can be hailed by people on the street or at taxi ranks. Public hire insurance can work out cheaper than private hire, due to newer vehicles and more experienced drivers. Private Hire – In contrast to public hire, private hire taxis cannot be hailed by people on the street. These taxis require pre-booking from customers, so minicabs would be a prime example of a vehicle that would need private hire taxi insurance. Public Liability – All taxis, whether they’re public or private hire, will likely need public liability insurance too; the risks of not taking it out are far too great. 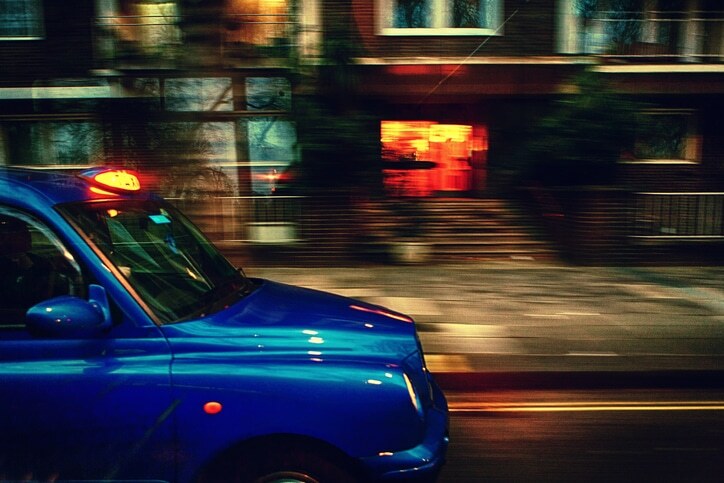 Taxi insurance policies may come with public liability cover included, but not always. You should check if your quote has this cover extension before you take out a policy. Legal Expenses – You can also take out legal cover for a little extra peace of mind. If you have to fight a liability claim in court, legal expenses cover could save you a tonne of money. Taxi Fleet Insurance – Fleet insurance is common in business insurance cover. And if you’re in charge of a taxi firm, then taking out taxi fleet insurance could be vastly more beneficial than insuring your vehicles individually. Road Risks – As with any other motor insurance policy, you need to have your taxi insured for road risks. And just like your standard motor insurance, you can choose from: third party only; third party, fire and theft; or fully comprehensive cover for your taxi insurance. Breakdown Assistance – Taxi insurance can come with breakdown cover too. Taxi breakdown cover can be different, and more specialist, compared to the type of breakdown cover you might have for your own private car. As well as taking out single driver policies, you can also get multi-driver policies for your taxi insurance. For taxi firm owners looking at taxi fleet insurance, this kind of cover can be very useful! Region – In taxi insurance, the region of where the vehicle is being used is essential. Insurance providers tend to quote regionally, and can exclude certain areas and/or cities from a quote. But remember: a region where one provider might not quote for, could be quoted by another insurer. Always shop around and compare quotes! Mileage – Taxis tend to cover more miles than regular vehicles, so it’s important to know your mileage. If you regularly cover long distances, an unlimited mileage option on your taxi insurance might be worth considering (if the insurer provides will provide this). Modifications – If your taxi comes fitted with disabled access, you need to inform your insurer (along with any other modifications) before taking out a quote. Failure to do so could invalidate your insurance in the event of a claim. DVSA Qualification – Have you passed your DVSA driving test? For some councils, this qualification is a requirement to drive a taxi. Insurance providers can ask the question too. Northern Ireland is sometimes an example of an area that might be excluded by insurers. Comparing Quotes – Shopping around is a great way to compare quotes and potentially save money. When your taxi insurance comes up for renewal, take a look at other providers. You might be able to get a cheaper price elsewhere. No Claims Bonus – Just like your regular car insurance, you can build up your NCB on your taxi insurance policy too. Less claims means potential discounts on your insurance premium! Security – A secure taxi, is a safe taxi. And with certain security features, some insurers could offer you a cheaper premium. Pay Annually, Instead Of Monthly – If you can afford to do so, try paying up-front for the full cost of your insurance. Monthly premiums are likely to have extra charges applied to them. National Taxi Association – Since 1960, this body has been helping to consult on all forms of taxi legislation in England and Wales. National Private Hire Association – The NPHA is an organisation that provides useful support and help for cabbies everywhere. Licensed Taxi Drivers’ Association – A membership group for taxi drivers, the LTDA is also a support group for those that work in the trade. Now that you’re a clued-up cabbie on taxi insurance, why not get yourself a tailored quote? There’s a panel of expert providers who can offer you taxi insurance quotes in just a few clicks.